All quiet on the western front. 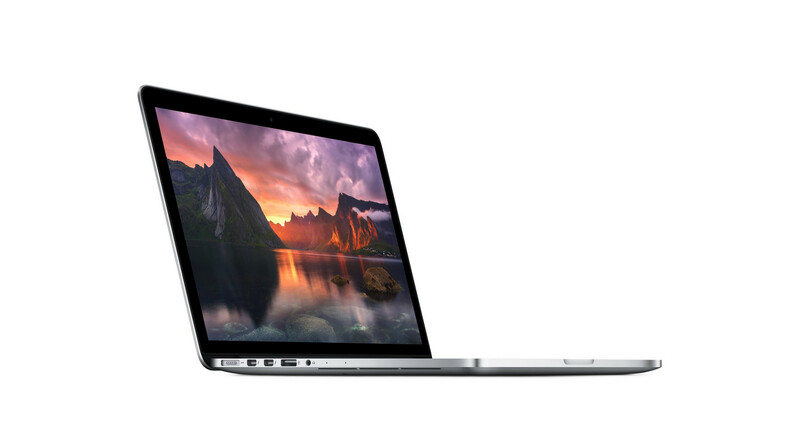 Apple introduced its reworked 15-inch MacBook Pro Retina last autumn. Although the entry-level price dropped a bit, we still expect a maximum amount of quality and performance for more than 2,000 Euros (~$2722). 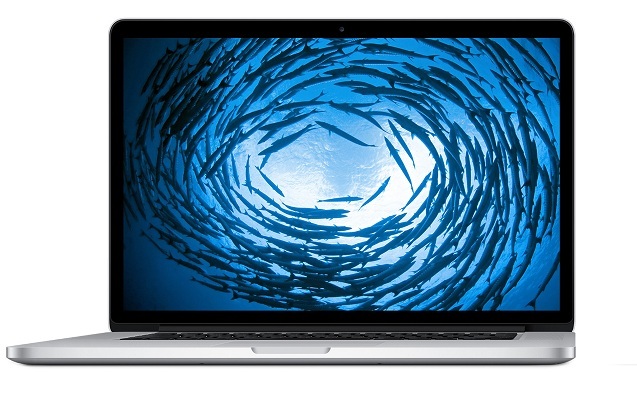 Last week we reviewed the 13-inch MacBook Pro, and now we're looking at the 15-inch. This year's MacBook Pro 15" is one of the best laptops we've reviewed for this form factor. Anyone who loves quality images will love this computer. Our only qualm with it is the limited number of ports. Everything else is great... if not perfect. Apple has taken one of the best 15-inch laptops on the market and improved upon it by making a number of internal changes while keeping the excellent external design the same. The new Haswell based processor doesn't give it a huge boost in performance but gives it even more running time such that people can get a full performance laptop that runs as long as an ultrabook. Is the 15-inch MacBook Pro a powerful yet surprisingly portable laptop? Yes. Does it last much longer than any other laptop in its class? Yes. But does that mean you should buy one? In the right circumstances, yes, but it’s not a simple argument. We love the design, the battery life and the screen… what’s not to love about the screen? But then the graphics performance is mediocre for the money you’re spending, and that’s with the Intel Iris Pro graphics and dedicated graphics working together -- cheaper version just have the Intel variety. This doesn’t make it a great desktop replacement if you want to play games, but that isn’t such a big deal if you’re more interested in doing video and graphics work using GPU acceleration and need the portability. The 15-inch MacBook Pro is very expensive and, of course, significantly larger and heavier than its 13-inch counterpart, so business travellers who value portability above all else will prefer the slimline MacBook Air or a Windows Ultrabook. The laptop’s poor upgrade and service options are also short-sighted limitations. Apple's MacBook Pro laptop range combines high performance with long-lasting battery life, and the latest model continues this trend. This is one of the best large-screen laptops on the market. Battery life, responsiveness, display quality and versatility are unmatched. However, the high-price and limited serviceability prevent this from getting a wholehearted recommendation. Much improved battery life and fast internal storage are both welcome improvements to this latest iteration of the 15-inch Retina MacBook Pro. The $1999 2.0GHz MacBook Pro’s lack of discrete graphics took a toll on its Cinebench and 3D game performance, but it’s a much faster system than the high-end 13-inch Retina MacBook Pro. The $2599 2.3GHz Retina MacBook Pro was faster in just about every way than the system it replaces and would be a great fit for owners of older Mac portables looking for a high-performance laptop. It's fair to say that the new MacBook Pro offers little in the way of surprises. 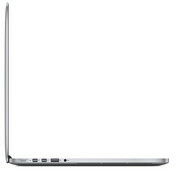 The 15-inch model is the same size and weight as the 2012 model, with the same chassis and port selection—except for the step up to Thunderbolt 2. The PCIe-based flash storage trims a noticeable few seconds off boot time and should produce quicker app launches as well. The Apple MacBook Pro 15-inch (2013) earns its title as one of the best high-end desktop replacement laptops you can buy. It has the power of a desktop Mac, and the battery life to carry you through a full workday and beyond. The screen resolution is higher than most all-in-one desktop PCs and desktop replacement laptops. The MacBook Pro 15-inch compares well to laptops ranging in price from $1,400 to high powered systems that run over $2,700. Systems like the Toshiba Kirabook and the Razer Blade (2013) come in at about the same $2,000 price point ad the MacBook Pro 15-inch. Apple's 15-inch MacBook Pro, recently updated to current-generation Intel CPUs, retains its position as a favorite premium laptop for power-users. 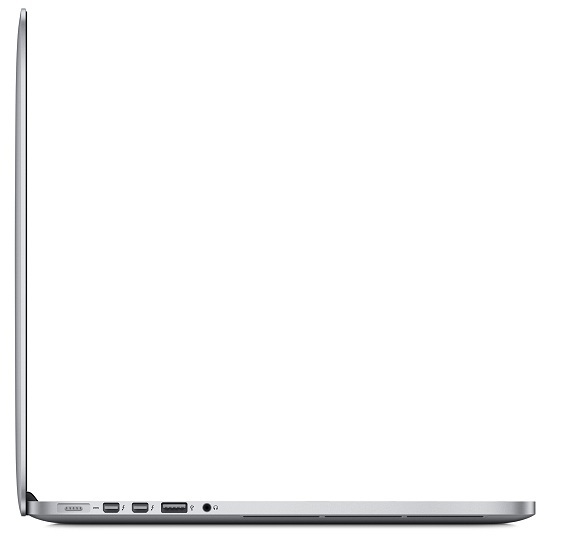 The slimmer body and higher-res screen of the original Retina MacBook Pro was a revolutionary leap. This revamp adds modest internal upgrades for modest improvements, but price cuts to both the 13-inch and 15-inch models sweeten the deal. At $2,599 for our configuration ($1,999 to start), the 15-inch MacBook Pro represents a serious investment, but it also delivers a serious dose of power and endurance in a portable design. The new Retina MacBook Pro offers very fast quad-core performance paired with some of the fastest flash storage around and (optional) discrete graphics, making quick work of pretty much any task. 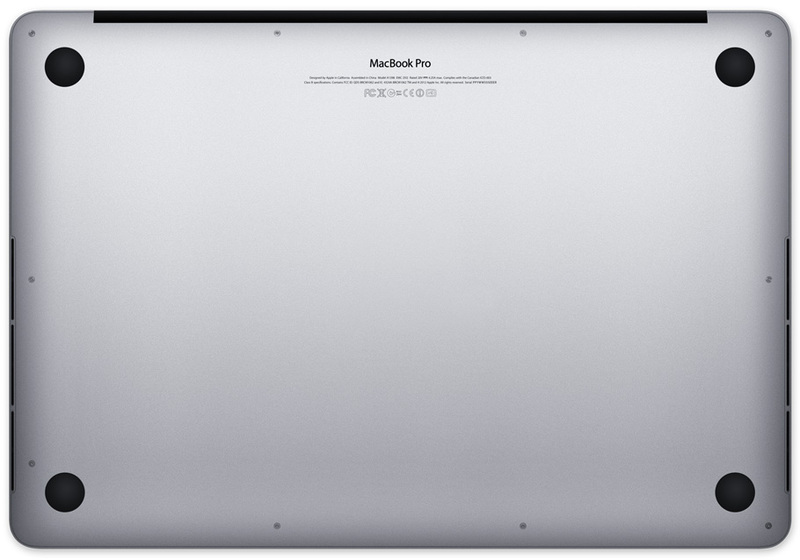 Positive: Perfect performance for daily work; good IPS display; good autonomy. Positive: Retina display; good performance; long battery life. Negative: High price. Positive: Excellent overall performance; hard disk speed boost; outstanding display; long battery life. Negative: Noisy fan; Reflective screen; slightly hot. Haswell-based quad-core processor clocked at 2.3 GHz with Turbo Boost support up to 3.5 GHz. Offers an integrated Iris Pro Graphics 5200 GPU and a dual-channel DDR3 memory controller. 89.21%: There do not exist many models, which are rated better. The most ratings get ratings, which are a bit worse.